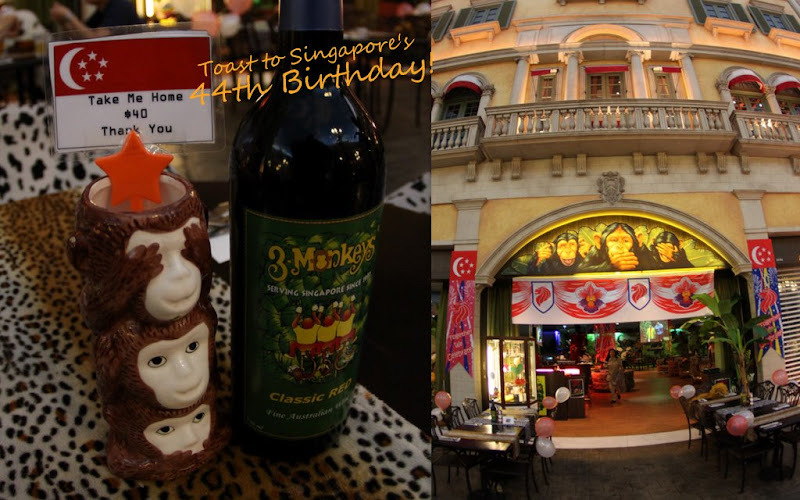 Today is Singapore’s 44th Birthday, we decided to celebrate this special day at Macau with a BIG gathering of Singaporeans!!! My mother-in-law, my sister and family, my Pakistan-borned cousin plus my very very good Singaporean friend from Beijing – HOVMAN (my 67th HK Visitor!) are all here in Hong Kong! To mark our unity on this very special day, we pledged to only consume "Singapore Food"! 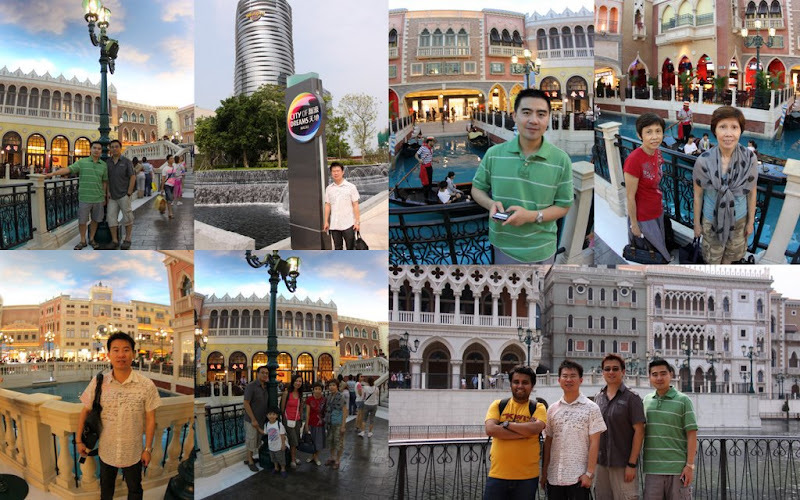 Next, we crossed the road to Venetian. Honestly, the old Venetian is still far more inviting and attractive than the City of Dreams. It has more "wow-effect" for the tourists. At Venetian, Hovman and I ordered Nasi Lemak at the "Raja Singapura" stall in the casino’s food court. Cousin Mike ordered our Singapore’s very own Hainan Chicken Rice. Enough of the Vice City, we made our way to St Paul’s Ruins (to cleanse our awful greedy sin). 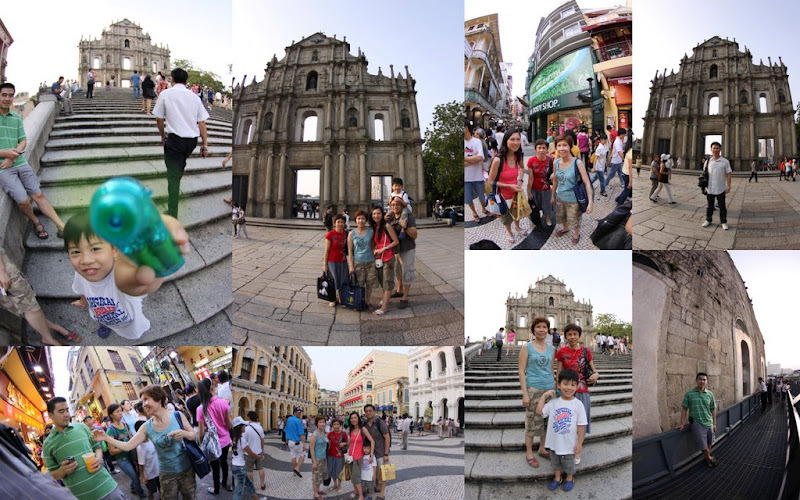 It has been exactly 20 years since mom-in-law last visited Macau. She was here with Chups (when she was only 4 – the same age as Elkan!). It was awfully warm and humid today. 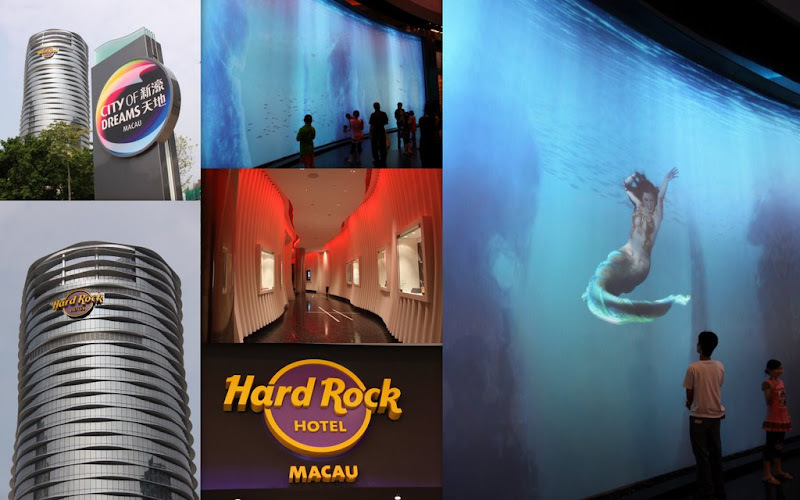 There are many "walking attractions" around Macau – it is better to come to Macau during the cooler months.